Fancourt is the jewel of the Garden Route, an area known for its glittering white beaches, sheer cliffs that plunge dramatically into the Indian Ocean and the majestic Outeniqua Mountains. 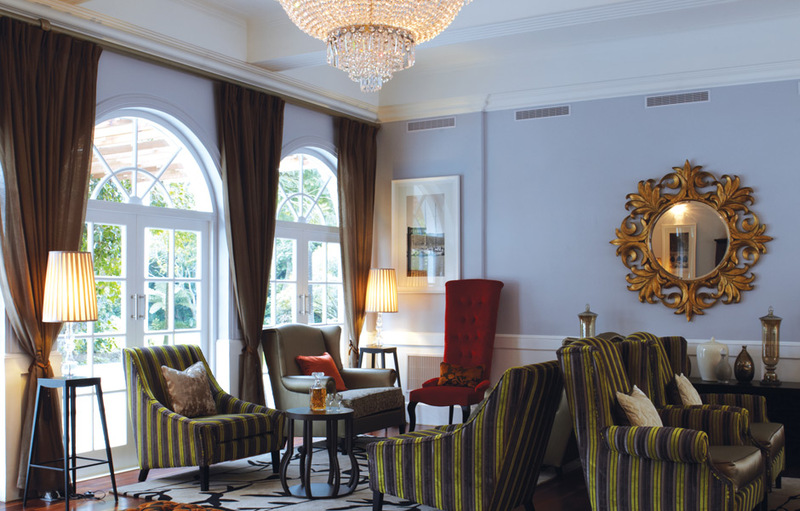 The Fancourt Resort Hotel and The Manor House evokes a genteel tranquillity and old world charm that will satisfy the most discerning traveller. Whether you are going to test your skills on one of three championship golf courses, or rejuvenate your spirit at the world-class spa, there is something for everyone at this exclusive resort. The Resort’s grounds are beautifully manicured and the landscapes are breathtaking, attention to detail is key and every step is taken to ensure an unforgettable experience. 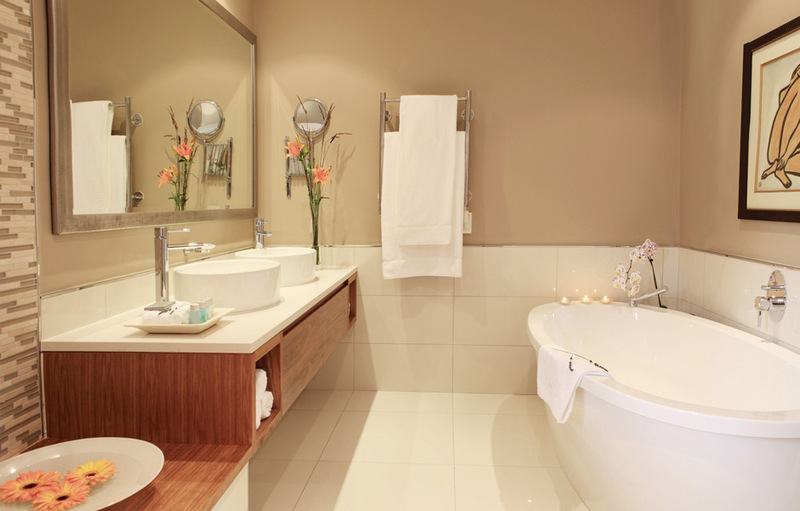 Fancourt Resort Hotel’s interiors are a perfect harmony of modern luxury and classic elegance. There are eight different culinary experiences to satisfy your appetite and delight your pallet. La Cantina is perfect for relaxed family dining, giving guests a taste of the Mediterranean with a wide selection of pastas and succulent steaks. The restaurant serves a full buffet breakfast daily. Morning Glory overlooks the first tee of the Outeniqua Golf Course. The faire is a mix of healthy Western and Asian with a preference for organic ingredients. For a delightful afternoon indulgence why not spoil yourself with an elegant and sophisticated High Tea at The Manor House Garden and Tea Lounge. Keep an eye on the 18th green on Montagu Golf Course while you enjoy traditional club on the terrace at The Club Lounge. For the ultimate in fine dining experiences you must visit Henry White’s. No detail is overlooked in this restaurants dedication to achieving excellence in the culinary arts. It is innovative and progressive in its food styling yet recognises the classic wine and food tradition from which it comes. Unwind with a hot stone massage or take a dip in the heated Roman Bath while you achieve total relaxation in the most tranquil of settings. Also on offer are a steam room, sauna, gym, Jacuzzi and tepidarium. The Fancourt Resort Hotel is a fine blend of modern luxury and classic elegance which offers accommodation that caters to every taste. 115 luxurious bedrooms and suites are all fully equipped with everything you need to make your stay as comfortable and unforgettable as possible. The soothing colours in the spacious and contemporary designed Luxury Rooms (32-40m2) create the perfect sanctuary to recharge at the end of an exciting, fun-filled day. The 54m2 one bedroom suites are decorated in neutral tones and encourage relaxation and comfort in a plush interior. 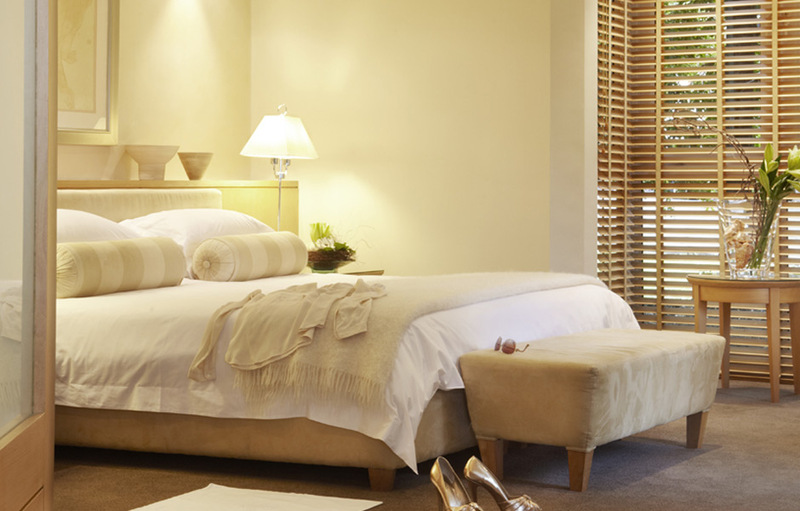 These deluxe suites have their own private balconies overlooking the gardens, golf course or Outeniqua Mountains. 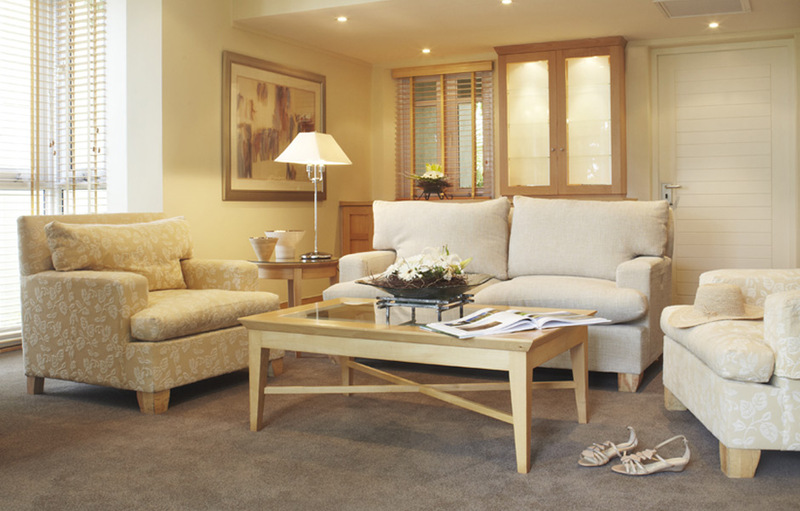 Fancourt’s two bedroom Suites are ideal for families. The suites are 86m2 and have a separate lounge with a fireplace and dining area. Each bedroom has its own en-suite bathroom. “Blanco House” a 150 year old National Monument is the original Manor House on Fancourt’s 613 hectare Estate. Meticulously remodelled into a boutique hotel offering an exquisite combination of old world and new world beauty and elegance, it embodies the classic opulence and indulgent sophistication you’d expect from a 21st century boutique hotel. For the uncompromising traveller, your experience at The Manor house will never be matched. The beds in the 18 luxurious suites are made with 10 layers of luxury and a personal butler is on hand to take care of your every need. The Manor House boasts 13 Luxury Suites (60m2), four Grand Suites (73m2) and a 155m2 Master Bedroom Suite. 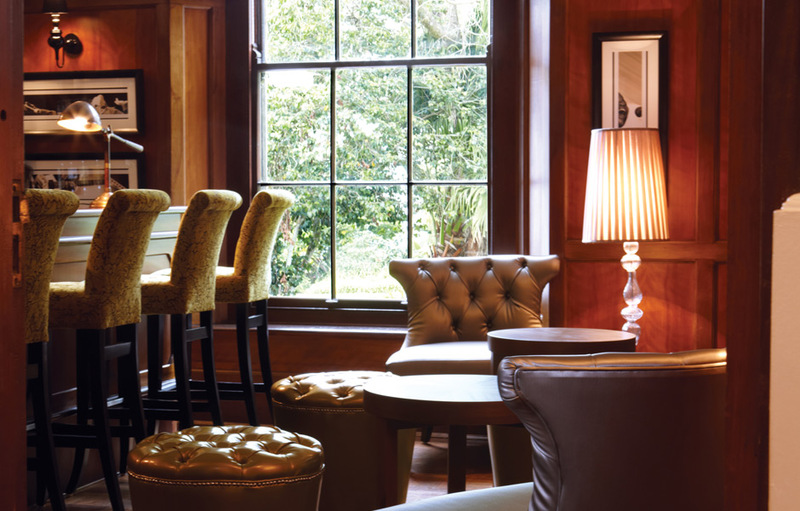 There is a distinctly classic feel to The Montague Bar, Lounge and Library, with wooden-shelved walls, wingback chairs and an original fireplace. 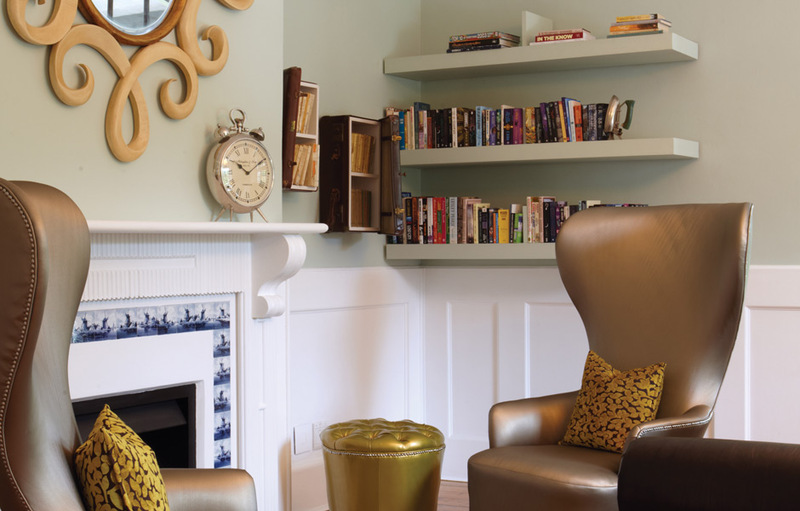 Why not pick up a book while enjoying your favourite whisky, cognac or liqueur? The Supervised Kids Club for children aged 3-10 years including arts and crafts, nature walks, board games, treasure hunts, indoor jungle gym and a variety of children’s toys to keep the little ones occupied. Kids Club staff members are qualified and experienced and have CPR training. The Club opens at 08h00 and closes at 16h30 with lunch served between 12h00 and 13h00.